According to Italian Law no. 218 of 1995 the separation or dissolution of marriage are governed by the national law common to both spouses at the time of application for separation or divorce. Failing that, the law of the State where the marriage has been principally based applies. For example, when the marriage principally took place in Spain, the rule attributed by the Spanish Law, according to which it is possible to ask for a divorce after only three months without any separation periods, may be requested to apply. If the separation and dissolution of marriage are not governed by foreign law, they will be governed by Italian law, as determined by the second paragraph of Article n. 31 of 218/1995 Law. According to the Article n. 32 of the same Law, the Italian jurisdiction also exists in matters of nullity and annulment of marriage, legal separation, dissolution of marriage, when one spouse is an Italian citizen and the marriage was celebrated in Italy. 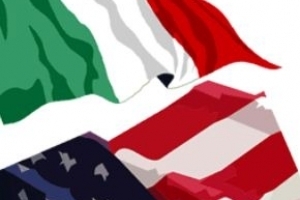 The separation and divorce judgments delivered in the United States of America about Italian citizens have direct effect in Italy, without the need for further recognition procedure, provided that such judgments are not against to Italian Law and the essential rights of the defense are respected.